As long as I can remember, I’ve always dealt with body image issues. I don’t remember a time growing up that I was comfortable with my weight. My first real memory of struggling with my weight/body image/food was in boarding school. The food was mostly fried, or the food I enjoyed was fried anyway. I had a friend in boarding school who was bulimic, and I briefly tried to take it up, but I couldn’t stand making myself sick. So I stuck with the binging, and omitted the purging. In grade eleven I weighed 175 pounds. My weight really started to climb after graduating. I remember clearly weighing myself a few months after having my first son and seeing the number 205 pounds on the scale. I was 20 years old. I’m 5′ 9″ so at least I’m tall enough that I can get away with a little extra weight. But seeing that I was in the 200’s was devastating. The next time I weighed myself was 5 years later when I was pregnant with my second child and I was at my first prenatal appointment. “I guess this is the lowest number you’ll see in the next 9 months” the nurse joked as she slowly added more weight to the scale. She fumbled with the scale so much that I knew she had misjudged my weight by over 50 pounds. I stared at the final number in shock…235 pounds. My eyes welled up with tears, and as customary to hide my emotions, I made a joke of it. “Wow, I can’t wait to add another 40 pounds to that number!” I weighed 271 pounds the day I gave birth to my second son. I remember thinking I was as big as a Linebacker. I returned to work after my second son was a year old. I worked at a fire training school where I was surrounded by men and women who were fit and confident. I was neither. I went to the doctor for a checkup and was told that I had high-blood pressure and would have to go on blood pressure meds. I was 27 years old and on blood pressure medication! On September 11th, 2003, I walked into my boss’s office and quit my job. September 11th was such an emotional day even more so being that we were a fire training school. After the memorial service, I decided I needed to get my life back in control. I had a great job, a great boss, and great co-workers, but I was miserable with myself and I needed to change that. A few weeks later, we bought an acreage. Moving out to the acreage was amazing for our family. It gave me time and solace to work on my issues. I weighed in officially at 242 when I decided to change my lifestyle to a healthier one. I started reading everything I could about healthy living, and worked out to exercise DVD’s in my basement (the “Get Ripped” DVDs by Jari Love are amazing). I started journalling again, and wrote down everything I ate, drank, and every bit of exercise I did in a day. It was addicting! I realized that I was so much stronger than I thought. I found an amazing network of women in an on-line forum who were also struggling with their weight. I had never really felt that type of support and commitment within a group before and when I didn’t feel like working out or when I felt like eating away my worries, they were always there to ground me. Slowly but surely the weight began to come off. I loved the quiet of the acreage, I went for tons of walks in the country. This is where my passion for photography really began. I started seeing life in a new light. I reclaimed my life that year and decided it was worth living fully. I was no longer willing to live it on the side lines. There was a moment after a hard work-out that I sat back on the couch, red faced, out of breathe, and sweaty and I couldn’t help but break out in the biggest smile. I couldn’t wait for my friends and family to see the changes on the outside that had already happened on the inside. It was definitely an “Ah Ha” moment. I had NO doubt that I was going to reach my goal weight. It was just a matter of time, a lot of work, and commitment. A few months later after being diligent with my diet and exercise, I weighed in at 198 pounds. I hadn’t seen that number in years. As quickly as that number appeared on my scale, it crepted back up into the 200’s and I realized I was pregnant with our 3rd child. I still continued to eat healthy and exercised regularly. Tessa Faith was born in September of 2004 and within 6 weeks of her birth I hit the treadmill and workout DVDs once again with the kids by my side in the privacy of my basement. I weighed in at 208, 10 pounds heavier than when I got pregnant with Tessa. As well as daily workouts, I purchased a pedometer and upped my activity every week until I was stepping over 12,000 steps a day. I would look for inventive and new ways to get in more exercise. I learned if you blasted ABBA while cooking, you can’t help but shake your bootie. I learned to park farther away and to take the stairs instead of the elevator. I learned to add a little more activity into everyday tasks. I would even pace my basement at the end of a day while talking on the phone with my hubby just to meet my daily step quota. 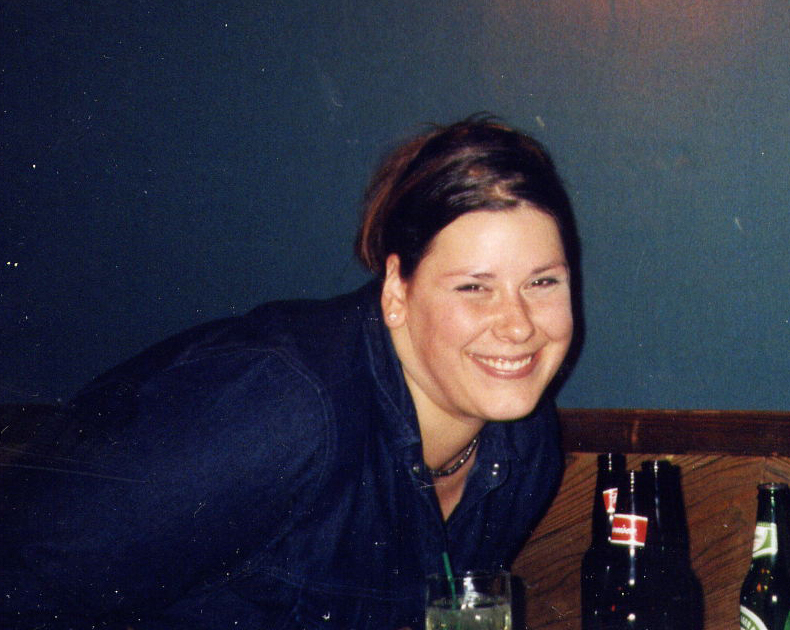 On May 19th, 2005, I hit my goal weight of 165. It was an amazing moment seeing my goal weight pop up on the scale. Words can’t express what it felt like to reach my goal although I did so with a bit of trepidation as I knew keeping the weight off was a whole other journey! Today, I continue to maintain my goal weight. I have kept the weight off for 10 years as of May 2015. I have discovered a deep love for fitness, it’s a world I am so thankful I found. I am finally comfortable in my own skin and have a zest for life that I lost for a few years. I want to support and motivate anyone who struggles with their weight and feels “stuck” like I once did. It’s a passion that I hope I never lose. I will try to continue to journal here on this blog. If you have questions or comments, please leave them. I would love nothing more than to support you and help you out in any way I can. Life is good!!! Live it fully and with joy! Christine, this was one of the most powerful and inspiring things I’ve read in a long time. So many things you said really resonated with me. I love your story- your starting weight 2nd pregnency weight and goal weight are almost identical to mine and at 5’10” our heights are almost the same as well. Thanks for sharing your story it makes me feel like I too can lose the weight and keep it off. Your a true inspiration!! I thank you for sharing this blog with me! It gives me hope that I can find peace, happiness and reclaim my life into something happy and positive!! 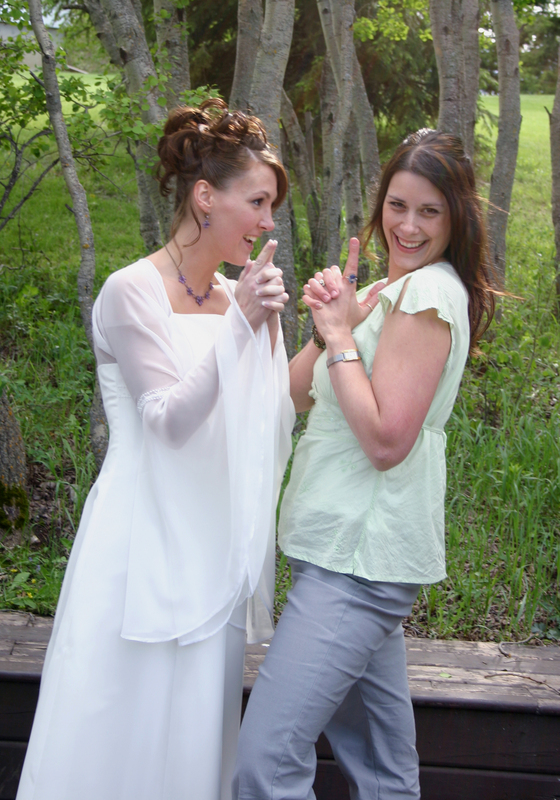 You are amazing – I’m so thankful to know you, and to get to live in the circle of your zest for life!! WOW!!! I love this blog!!! I love that I know someone who has done this….it does give me some hope:) I have gained ALL my weight back since both my losses this past fall…so back at it….it seems super hard but I will continue to read your posts to get my motivation! You can do it Jaimey, I’m here to support you! I’m so glad we met too Megan! Love ya! Wow. What a gift you are. i was not going to go to the gym today but now i am. i follow your photography blog/site avidly but was linked to this site by hope w.
insperational…I know you must hear that word often, but I have to tell you Christine that meeting you tonight has really inspired me. Although different, our stories are exactly the same. I have struggled with my weight my whole life…so seeing live and in colour that change can actually happen is really insperational to me. I’m so glad to have met you. Thank you. I’m so glad to have met you too Janell! Thank you for dropping by the blog! I look forward to working out with you again. You are doing AWESOME! You should be so proud of the progress you have already made, and it will just keep getting better and better. I’m here to support you if you need anything! A great inspiring blog. Keep it up and I look forward to following your writing. I’m not sure if you check up on these comments anymore, since the last one was from over a year ago, but here goes. I’m a compulsive eater- and I’m fifteen years old. Life has become a carousel of regret, self-hatred and eating that keeps spinning me into a body I can’t stand. I like your story, because instead of moping about your weight and fearing your body- like I do- you just lost that weight with a great attitude. Absolutely I check the comments! Thank you so much for sharing Bree. I was a compulsive eater through my teen years as well. I absolutely know where you are coming from, but I’m also here to tell you that you are more powerful than you know. You see, just because we may feel powerless when it comes to the cycle of over-eating and the feelings that surround that, there is so much power within just waiting to be put to use in order to move forward! To really LIVE life with purpose, confidence, and with a zest for life (no longer lived on the sidelines) that is hard to hold in! Bree, I want to encourage you to go after your passions and dreams in life. There is a lot of power in the words you share here. Hey Christine, great story and way to go! I knew you had lost weight and gotten into shape, but I had no idea you lost that much! That takes a lot of dedication and control. I am down almost 40 pounds now and my goal (which I will reach) is 50. It does become addicting once you see results and feel SO much better. Thanks for your story, I’m sure you’ve inspired many! Ocean, my heart breaks for what you are dealing with. I understand the feelings. I hope to support you in any way that I can. There is always hope when you continue to work on your spirit. It’s the mind that needs changing, and the rest will follow. Please visit back here, I will write more frequently and would love nothing more than you to uplift your spirit and show you that you are so worth it.